Ever had an experience where you wake up one day and wonder why did you just keep on going everyday? How do you find your ‘why’? Why do you do what you do? Maybe because you are preparing for a big project at work that you strive so had to make it happen because of the promotion that you are eyeing for, it is may be because you have a loved-one that is dying and you want to make sure that the person will live his days full of happy memories. It may be because you are preparing for a marriage and just waiting for the moment with the person that you love. It may be because you want to leave a legacy to your grandchildren by handing them down your business. Or maybe you have not figured it out yet. For those people who have got it already, congratulations! You are on the next step of living and breathing your purpose. For those who have not, just be patient it will come to you in time. Just hold on to your path, if you are doing a great job and happy then continue, if you are not happy then examine your life. Journal everything and be specific on key areas like your work. Again, just hold on to your path, if you are doing a great business then coninue or if you are in a relationship that is supportive and nice then continue but if not then examine your priorities again and journal it. It is all about redefining what you do, your priorities and recording it, in process wou wll get why you do what you do. One simple exercise to know your purpose is to think and act like you will going to die within the next twenty-four hours. In this way, you can journal the things that you want to do before you die or you bucket list, from there you will get a hint of what is your ‘why’ in life. For instance, you may want to start to write a great novel and become an inspiration to a lot of people one day–so you got it. 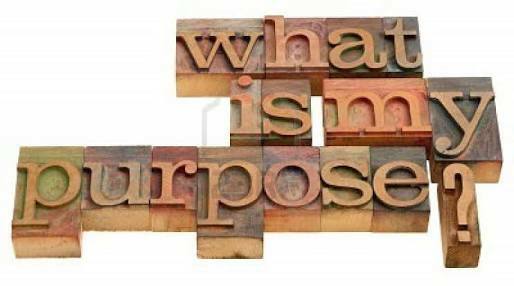 Knowing your purpose is not easy but if you stay true to what you really want and desire, be of service to the people around you, know your worth and continue on your journey, you may just be living and breathing it all along.